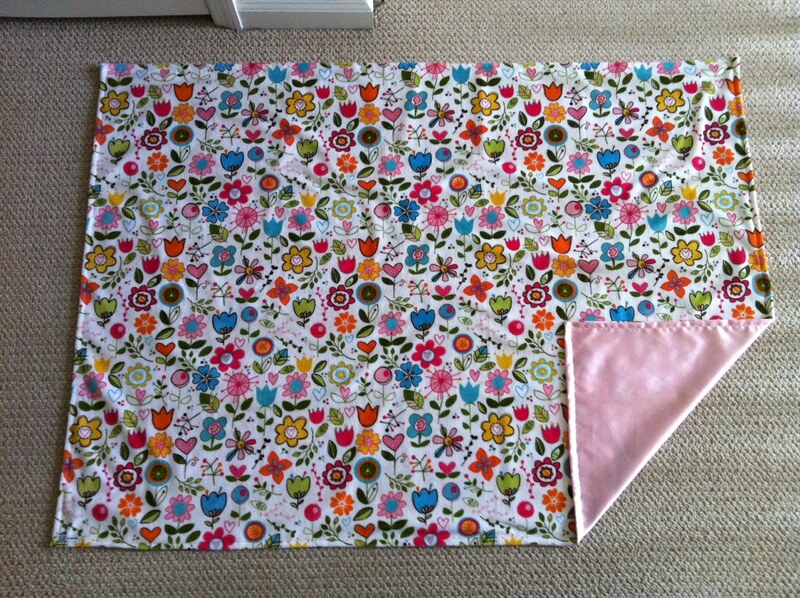 Pink floral: cut both fabrics 50x35. 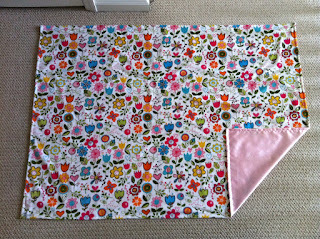 Sew right sides together with 1/4" allowance, leaving a ~5" opening to turn. Use ample pins. Clip corners, trim allowances. 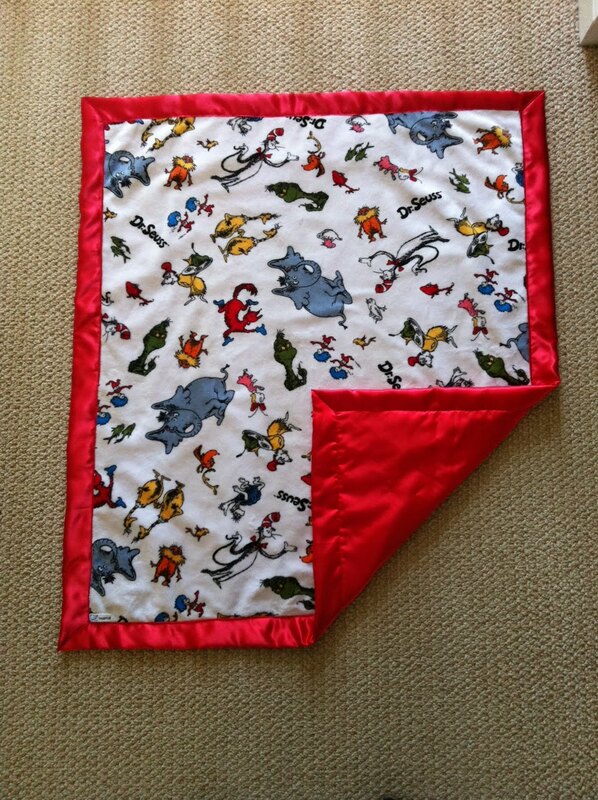 Turn and top stitch. 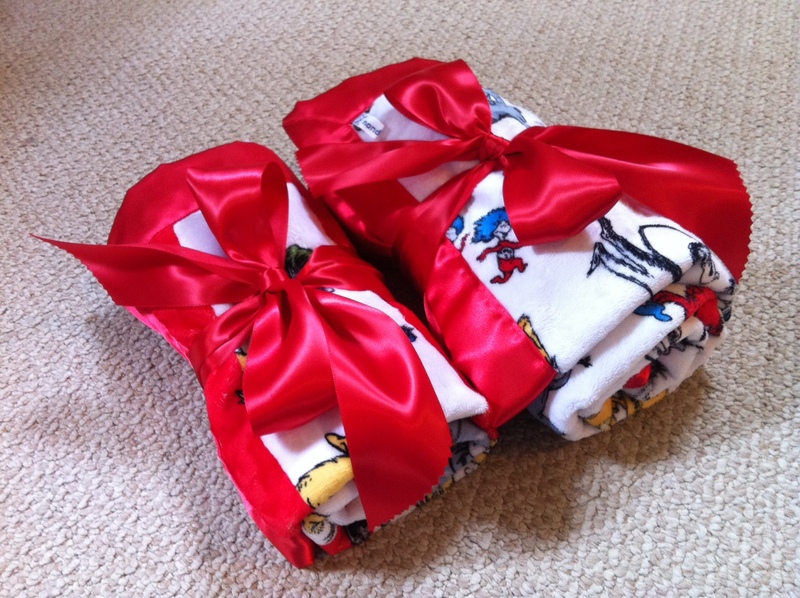 Red Seuss: cut washable satin 40x35, minky 35x30. Center minky over satin, wrong sides together. Fold up remaining satin (~2.25") and turn under 1/4" hem to form "binding." Miter corners. 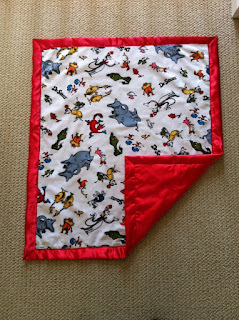 Pin liberally to avoid slippage and top stitch, remembering to sew corner folds as well. 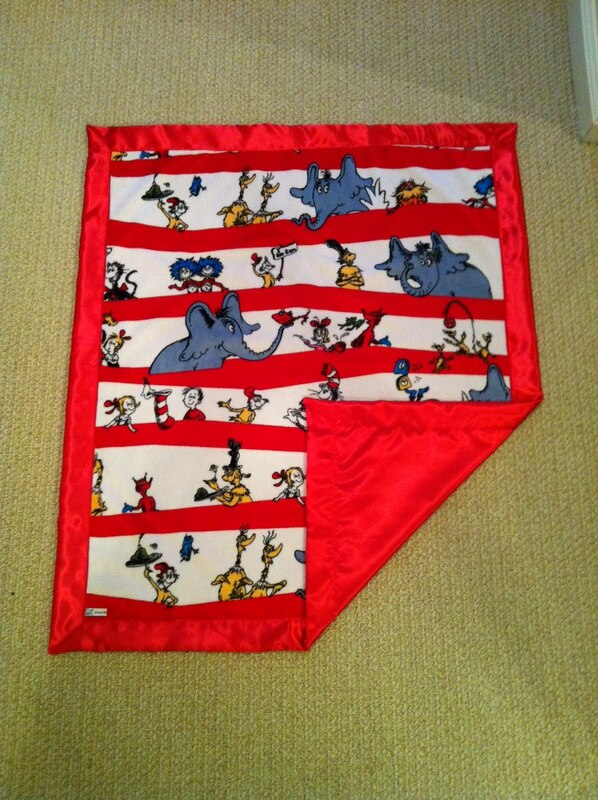 Remember to prewash fabrics and test thread tension on a scrap prior to sewing. 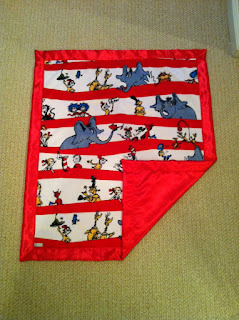 Minky Seuss and floral fabric from Fabric.com are 60" bolt and make 2 blankets per yard. Washable satin is "monece" satin from Hancock, 54" wide.